Christmas, one of my favourite times of the year! But can we all agree that sometimes Christmas can get a touch expensive? With our crazy move this summer, we left a lot of stuff in storage and that includes my Christmas decor. I really don’t want to spend a ton of money buying things I already have, but I also want a festive and cheery home! So I took a page from my childhood, when most of my Christmas gifts were handmade. 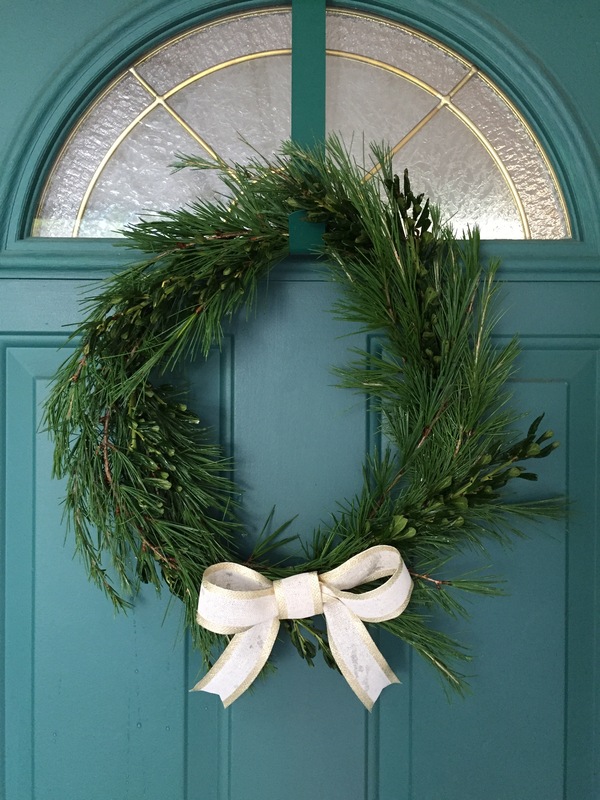 One year I made a fresh wreath for my grandparents from bough trimmings in our back yard. 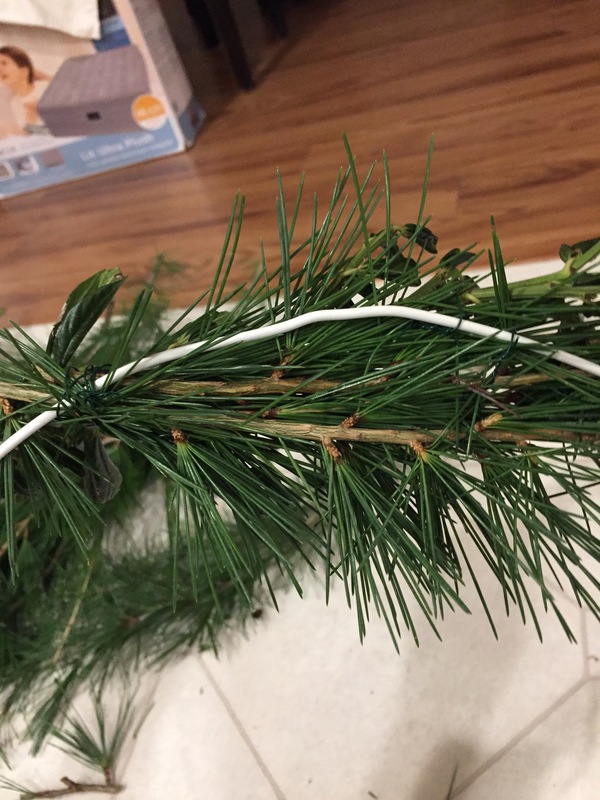 I sat on our basement floor and carefully wired cedar boughs to an old coat hanger. So pretty. I really recommend finding a coat hanger with thicker wire. This coated one is a little flimsy and didn’t hold the weight of the greenery as well as I would have liked. You live, you learn. 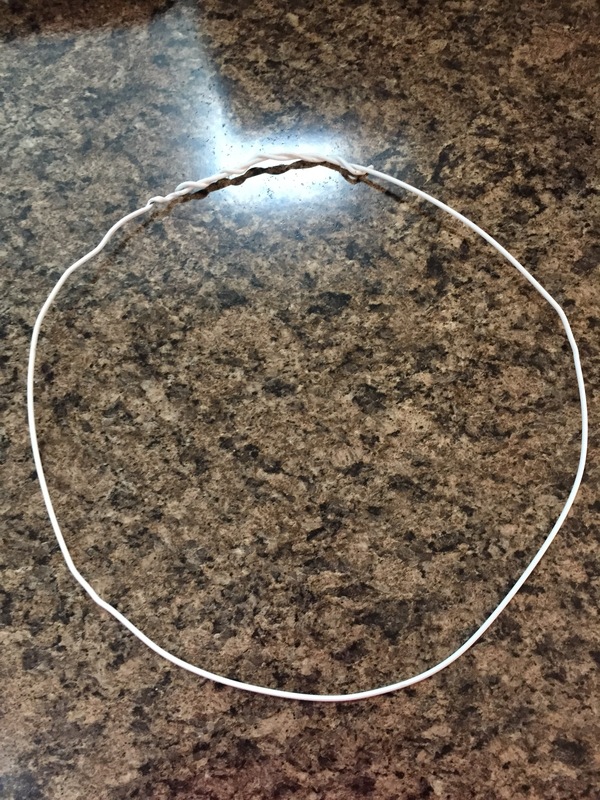 If you don’t have a coat hanger, just use thick wire from the hardware store and form it into a circle. 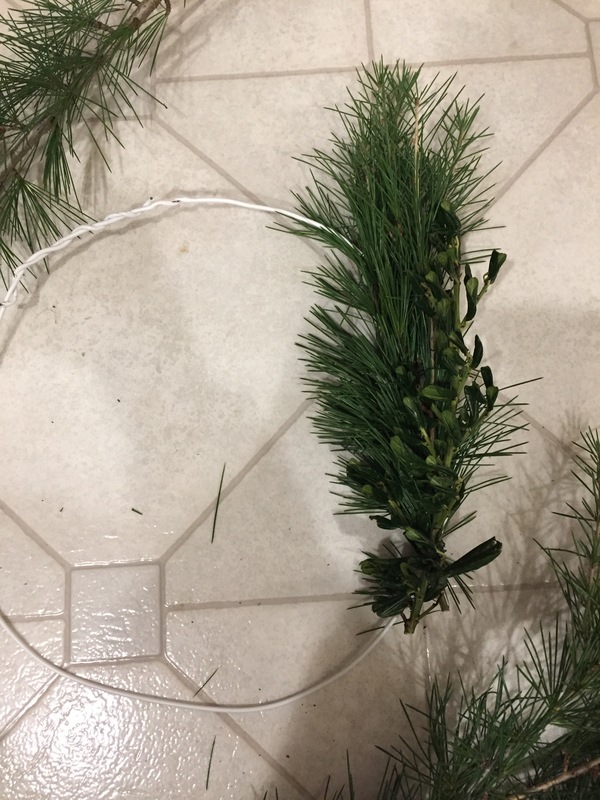 I trimmed some branches on the evergreen outside, picking branches from underneath, or those that had grown out of shape. Don’t just hack apart your garden! If you don’t have fresh greenery in your area, you can usually find it at the hardware store this time of year. Then the only other supply I needed was floral wire! It costs less than $5 at Michael’s, and is even less if you have your weekly coupon! Am I the only one that will make multiple Michael’s trips to use coupons on almost every purchase? 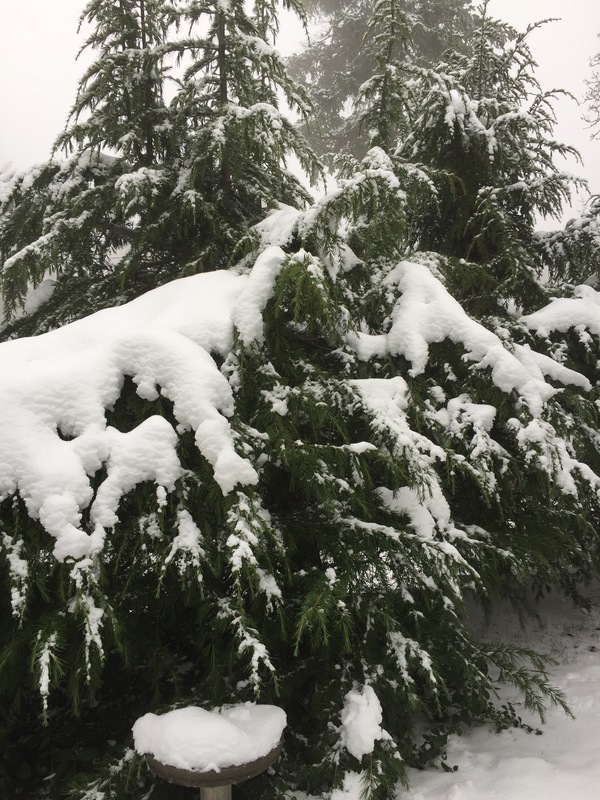 In addition to the evergreen, I also used some shrubbery that had held up well in the garden. 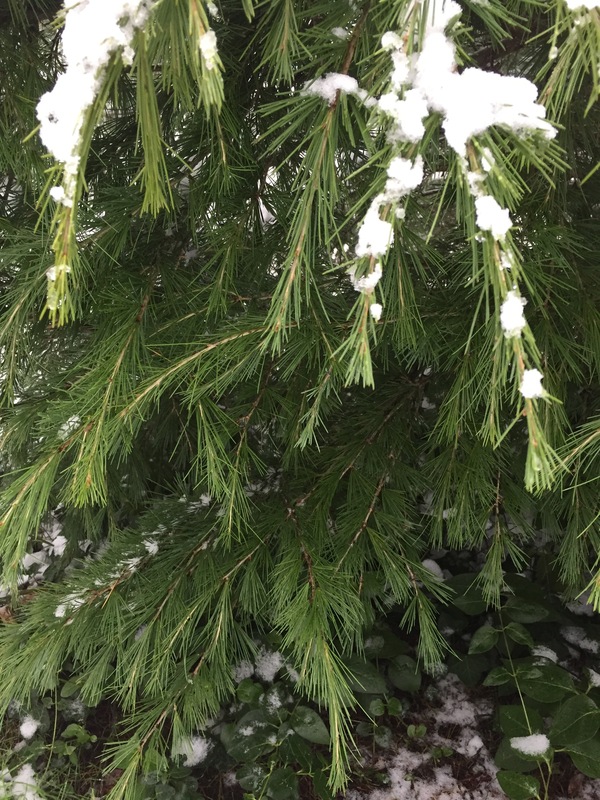 For those of you in colder climates, a mix of pine, cedar and fir can give you more texture and variety. 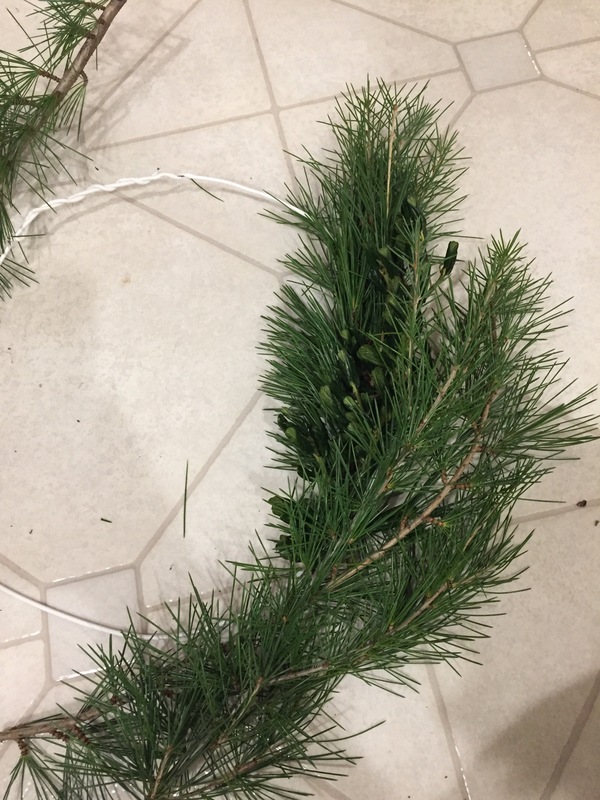 Start by bunching a group of greenery and wiring the stems together. Then wire those to the coat hanger circle. Continue by overlapping another bunch about halfway over the first one, wiring as you go. There may be some uncooperative stems that stick out too far, just place and wire these so that your shape remains circular. I like a little bit of a rustic look, without everything being too perfect. A bow made from wired ribbon, and this lovely wreath was complete! I now have a festive entry, and a happy bank account! 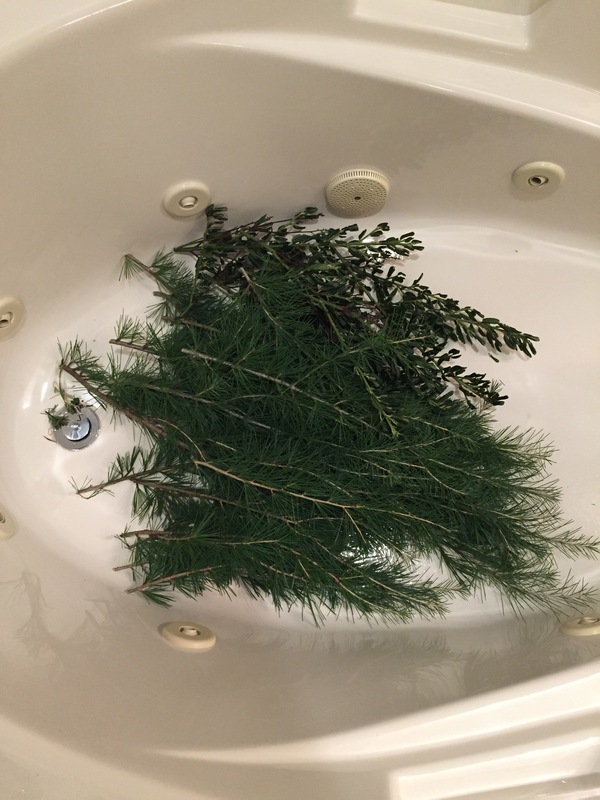 I can’t wait to show you the other ways I am bringing fresh greenery into my home this Christmas! So tell me – what do you prefer? Fresh greenery or artificial greens? 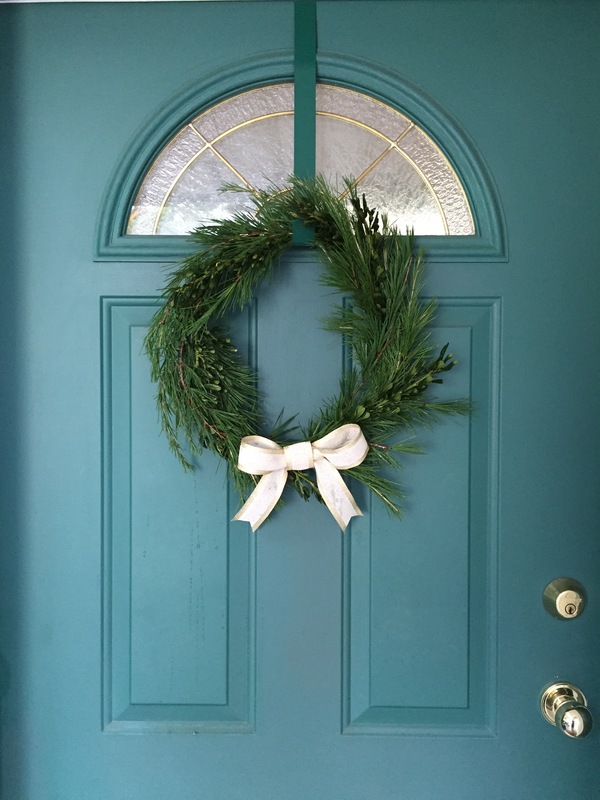 Will you try making a wreath this year? Aubrey, your wreath is so beautiful and looks perfect on your door! I love the boxwood you added to it too with the simple but elegant white bow.